Dr Kurt Brereton was born in Australia in 1955. 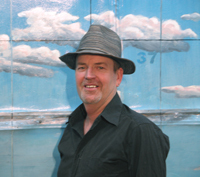 A mid career visual and digital media artist, writer and creative arts & design academic, Kurt currently lives on the south coast of NSW at Currarong beach. 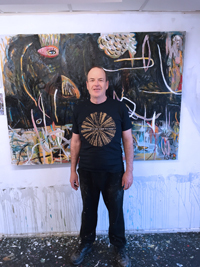 Brereton's first solo exhibition was at Bondi Pavillion Gallery Sydney in 1980 and since then has mounted over 30 solo exhibitions in Australia and overseas (USA, England, Germany, Japan, Ireland and Taiwan). 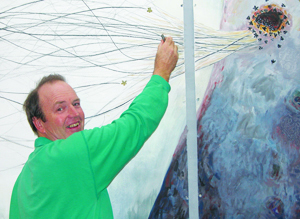 Brereton resigned from full time academia in 2001 to concentrate on his art and writing career. 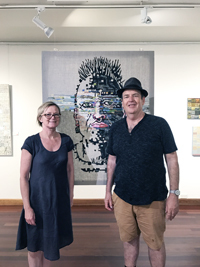 He continues to teach art at various tertiary and community institutions on a part time basis and until recently was Adjunct Professor at the University of the Sunshine Coast. In 2005 Hyper-Taiwan: Art, Design, Culture was published by Art & Collection (Taiwan). 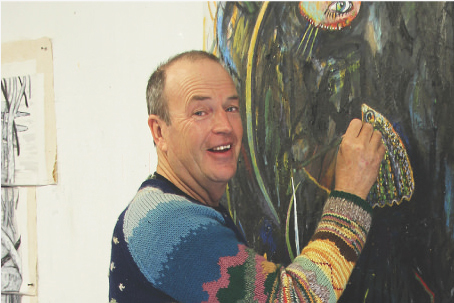 In 2008 Luscious, a monograph on Brereton's recent art career was published by Lakeside Arts (USA) in conjunction with a solo exhibition of his paintings and videos in New York. In July 2009 a major survey exhibition of over 70 works spanning the previous decade was mounted at the Wollongong City Art Gallery. Brereton won the James Kiwi Watercolour Prize in 2010. Coalcliff Days exhibition (curated with Ken Bolton and Sal Brereton) ran from May 15 -June 12, 2011 at the Wollongong City Gallery. 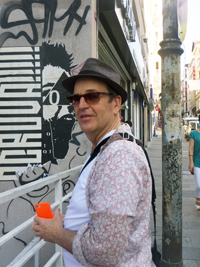 Brereton co-edited the anthology Coalcliff Days with Ken Bolton and Sal Brereton. 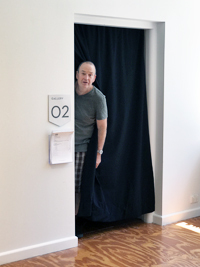 Brereton was new media artist in residence at Gymea Technology High School, Sydney during 2010. We Are A Movie (Collected Artist Books) published by Jellied Tongue Press was publlished in 2011. A monograph on Kurt Brereton's art More Is Plenty edited by Ken Bolton was published by JTP in 2011. 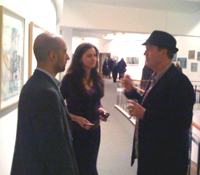 In 2012 Brereton held painting, sculpture and photography exhibitions at Compton Gallery and Gallery Paquette in Boonton NJ USA. Video and digital live online performances were conducted in Berlin, Athens and Tokyo. Greek Myths for the 21st Century, The Pathetic Manifesto and Cuteology were published in 2012. In 2015 Test Results: Art and Virality was published followed in 2016 by Shock of the Ordinary: Photographs 1975 - 2015. 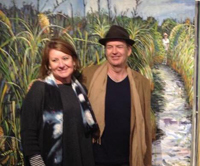 Solo exhibitions Test Results (2015) and Currarong Encounters(2015) were held at the Shoalhaven Regional Art Gallery. 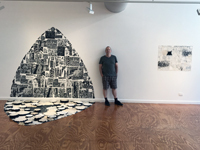 Brereton's solo show Biographs was seen at the same gallery in Nov 2016 - Jan 2017. 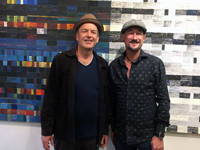 In Febuary 2017 his solo exhibition Orpheus Island: From Coral to Coal on the Great Barrier Reef was held at M16 Gallery in Canberra. Latest solo exhibition is currently on at the Jervis Bay Maritime Museum in September 8 - November 25 2018 titled Report from the Littoral Zone. Currently, Brereton is writing an historical anti-novel titled Living With Monsters to be published by JTP in 2019. 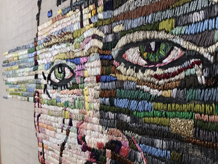 - Jervis Bay and Basin Arts Inc. Seechange 2016 Art Prize. – Artransit: Public Transport Poetry Exhibition, Paddington Town Hall, Sydney. – UTS Group Show, UTS Gallery, Sydney. – Close Remarks, Artspace Gallery, Sydney. – Natural Histories, Experimental Art Foundation, Adelaide. 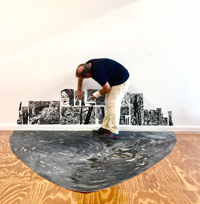 – Natural Histories, Artspace Gallery, Sydney. 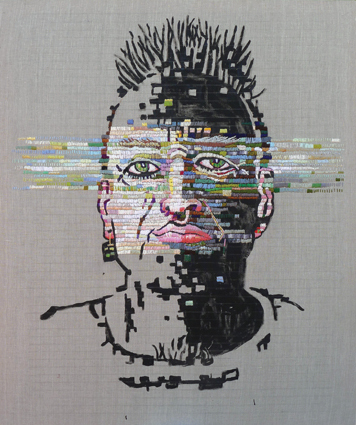 – Twenty Six Characters Exhibition, Adelaide Festival of the Arts, Exhibition, Adelaide. – Natural Histories, (collaboration with Kit Edwardes), Watershed Gallery, Bristol. – Artists in Schools, Arnolfini Gallery, Bristol. – Photo/Place/Method, Bondi Pavilion, Sydney. – Recent Australian Photography, Hogarth Galleries, Sydney. Brereton, K. (ed) (1986), Australian Mythological Sites, UTS, Sydney, Third Degree. Brereton, K. (ed)(1985), Beyond The Naked Eye: Science, Fiction, Technology, UTS, Sydney, Third Degree, No 2. Brereton, K. (ed) (1984),Vectors Lost in Space, Sydney, Third Degree, No 1. Brereton, K. & Edwardes, K. (1983), Natural Histories, Bristol, Rollmop/British Arts Council. Brereton, K. (ed) (1981), Photo-Discourse, Sydney, Sydney College of the Arts. 2003 ‘Visual Intimacy’, catalogue essay for Intimacy art exhibition by Kevin Brereton. 1996 ‘Tourism at Uluru: Changing Images of Ayers Rock,’ in Traditions and Tourism: The Good, The Bad and The Ugly, Melbourne, University Of Melbourne Press. 1995 ‘The Big Frontyard: Nostalgia and Beach Culture in the 1950s’, in Creating a White Australian Dreamtime: The Cultural Heritage and Politics of the 1950s, Charles Sturt University Press, Albury. 1993 ‘Prepress Strategies,’ in Computerwise, Heinemann, Shannon and Chatman (eds), Jacaranda Press, Sydney. 1981 ‘Postcards as Intervention' in Photo-Discourse, Brereton, K. (ed), Sydney, Sydney College of the Arts. 1997 ‘The Cultural Poetics of Water’ in Heat, No.6, Sydney. 1996 ‘Thai Proverbs for Australian Tourists’, in W/edge No. 2, University of Western Sydney. 1997 Mortal Divide Aside, 8mm, col/silent, 20mins. 1991 Memories to Live By, 8mm, col/sound, 25mins. 1989 Miza-za Pa, 8mm, col/sound, 10mins. 1987 Running Backwards for Art, City to Surf, 8mm, col/sound, 5mins. 1985 Re-Entries: Men Entering the Water at Bondi, 8mm, col/sound, 12mins. 1984 More is Plenty, 8mm, col/sound, 12mins. 1984 Shock of the Ordinary, 8mm, col/sound, 10mins. 1984 Sleight of Land, 8mm, col/sound, 16mins. 1982 Ideal Homes: Knossos, 8mm, col/sound, 4mins. - Altar/Alter, 8mm, col/sound, 6mins. 1981 The Coal Cliff, 8mm, col/sound, 12mins. 1981 Party Tricks, 8mm, col/sound, 4mins. 1981 Aus-Land or The Other Country, 8mm, col/sound, 30mins. 1979 Backwards To You, 8mm, col/sound, 20mins. 1978 Greetings From Sydney, 8mm, col/sound, 15mins. 1997 Mortal Divide —George Alexander book launch, Australian Centre for Photography, Sydney. 1996 Beyond the Sublime, Australian Centre for Photography, Sydney. 1989 Perspecta, NSW Art Gallery, Sydney. 1985 N.S.W. Institute of Technology, Sydney. 1985 City Art Institute, Sydney. 1984 City Art Institute, Sydney. 1984 FUTUR*FALL Conference, Jamison St, Sydney. 1982 National Art School, Dublin. 1982 Bristol Super 8 Film Festival, King St. Gallery, Bristol. 1982 London Film Makers Co-op. 1981 2nd Sydney Super 8 Film Festival, Sydney. 1981 Foreign Bodies Semiotics Conference, Sydney University. 1981 Sydney College of the Arts. 1981 Adelaide A.B.C. Film Centre. 1980 1st Sydney Super 8 Film Festival, Sydney. 2004 Orpheus Enters the Mangroves, 10 min super 8 film and digital animation, USC Gallery Qld. 2002 Bushfire Zone, 20min digital video for Art Realty show. 1996 Uluru Dystopia, Beyond the Sublime, 60sec digital video animation. 1987 Third Degree Promo, 3/4 " col. 5mins. 1981 Rock Against Racism, (camera) 3/4 " col. 90mins. 1979 True Luv, 3/4 " col. 60mins. 1978 Damn The Ironing, 3/4 " col. 35mins. 2001 Messiaen at Mt Kiera, Jellied Tongue Press, (accompanying exhibition). 1997 CDRom graphic interface design on From Convict Ship to Dragon Boat: Australia on CD Series, Ripple Media, Adelaide. 1989 'Homage to Piotr Olzanski', at Perspecta, Art Gallery of NSW. 1985 ‘Art Has Always Been Didactic’, at Close Remarks Conference, Artspace Gallery, Sydney. 1984 ‘Sleight of Land’, (with George Alexander), FUTUR*FALL Conference, Jamieson St., Sydney. Watershed Gallery, Bristol; Experimental Art Foundation, Adelaide; Underdale CAE, Adelaide; Hartley CAE, Adelaide; Flinders University, Adelaide; Norlunga Institute, Adelaide; Newcastle CAE Art School; City Art Institute, Sydney; Seaforth Technical College, Sydney; Artspace Gallery, Sydney; Australian Centre for Photography, Sydney. 2003 George Alexander, “Time Out of Mind”, catalog essay for Chronography – a series of performance paintings dealing with mapping time. – University of New England (B. Natural Resources - deferred). – Alexander Mackie College of the Arts (Dip Art - Photography, Film & Video). – Pipi Storm Theatre Company (writing, directing and acting). – Audio Visual Technical Officer and P/T lecturer at Sydney College of the Arts. – Co-organiser of the Super 8 Film Festival, Sydney. – Director of King Street Gallery, Bristol, England. – Co-ordinator of Bristol Super 8 Film Festival. 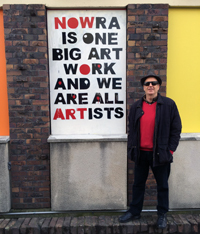 – Guest lecturer at Bristol Art School, England. – Artist in Schools Program, Bath Oldfield Girls High, England. 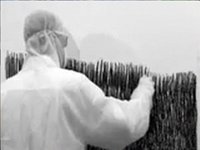 –Artist in Residence, Experimental Art Foundation, Adelaide. – Partner and art director, Facelift Design (graphic design, interactive multimedia and net design). – Co-editor (with Noel Sanders), Artlink - Mens Business: Masculinities Reflected, Vol. 16, No1. – Board member, Project Center for Contemporary Art, Wollongong. – Chair, Project Center for Contemporary Art, Wollongong. – Appointment at University of the Sunshine Coast, Adjunct Associate Professor (Computer Based Art & Design), Faculty of Arts and Social Sciences. – Part time postgraduate coursework teaching at DAB, UTS. – Ongoing postgraduate supervision and theses examinations at various universities including UOW, UTS, USC, Griffith, UNSW and Victoria University. 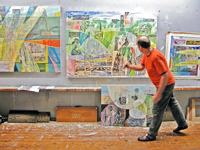 - Part time art teacher TAFE (Wollongong). - Co-curated Coalcliff Days exhibition at Wollongong City Gallery. - P/T teachig art at TAFE, NSW (Murwillumbah). 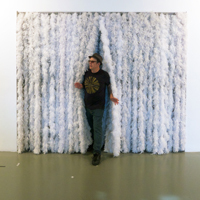 Exhibitions and performancs in USA ,Greece, Germany, Japan. 2013 - present. Full time art studio practice, film and writing. Occasional art workshops.